Commencing at 6.30pm on 19th December, Carols will focus on fun and entertainment for all ages. Especially for kiddies, the Silly Billies will present Jingle Bells, Rudolph the Red-Nosed Reindeer and Santa Claus is coming to Town. Also performing are soloists Liza Beamish (soprano) and Johhny Peek (tenor), New World Rhythm Choir (directed by Brian Martin), The Pacific Chamber Orchestra (conducted by Barrie Gott), Golden Beach State School and Dance School, Tahlia Bland (panio), Wes Taylor Duo, SC Performing Arts Centre Dance Troupe and community carol singing lead by Caloundra Chorale. Food, drinks and glow products will be available from local community organisations. 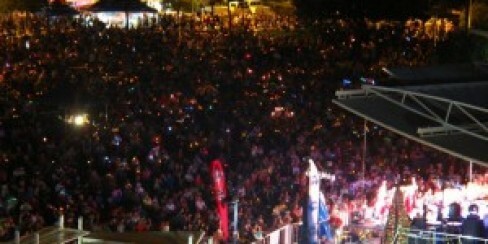 Carols is an alcohol and glass free event. There is a free bus for Carols on Kings with services running from and to Caloundra Bus Interchange in Cooma Terrace from 4pm to 9.30pm.